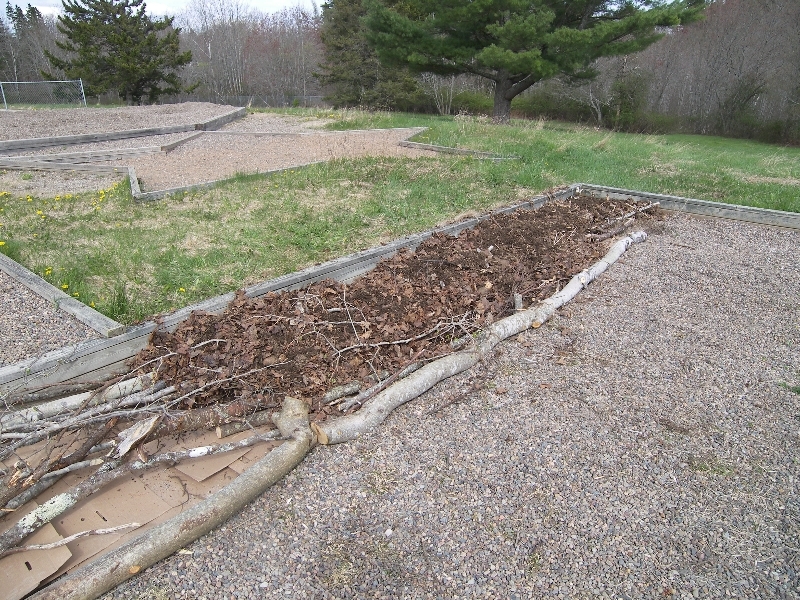 We’re building hugelkultur/lasagna beds in the boarded-in rectangle at the far end of the former play area. We’re adding photos as we go. First, we shovel most of the gravel into the future pathways. 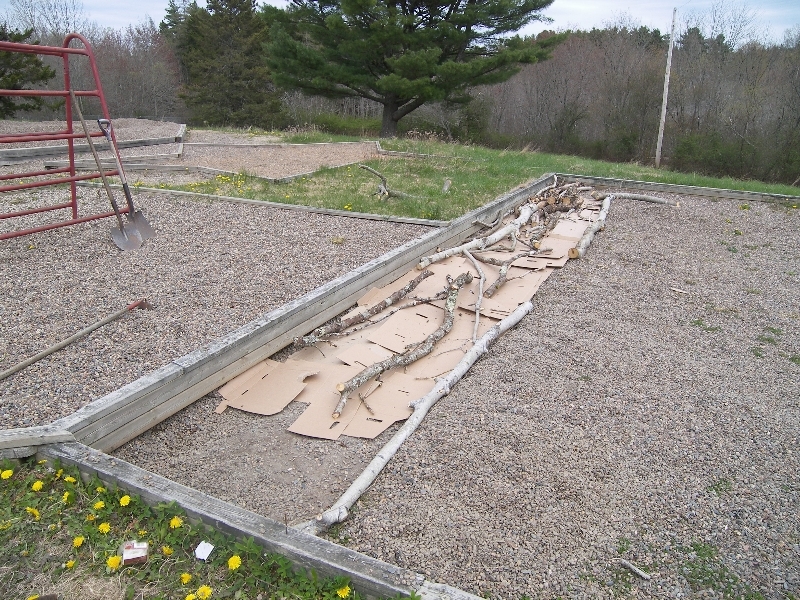 Laying cardboard prevents existing plants from growing through and holds moisture, and it will disintegrate in a season, becoming part of the soil. 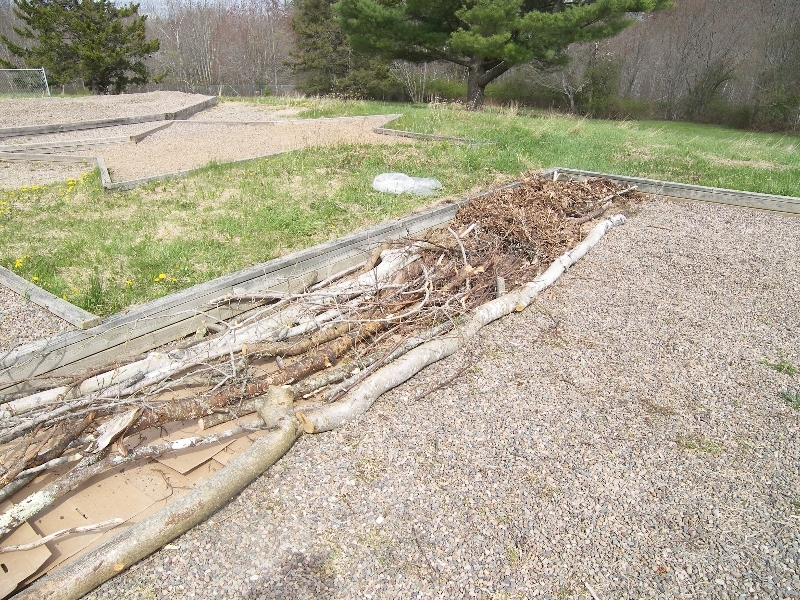 Pile logs and branches into the planting area. 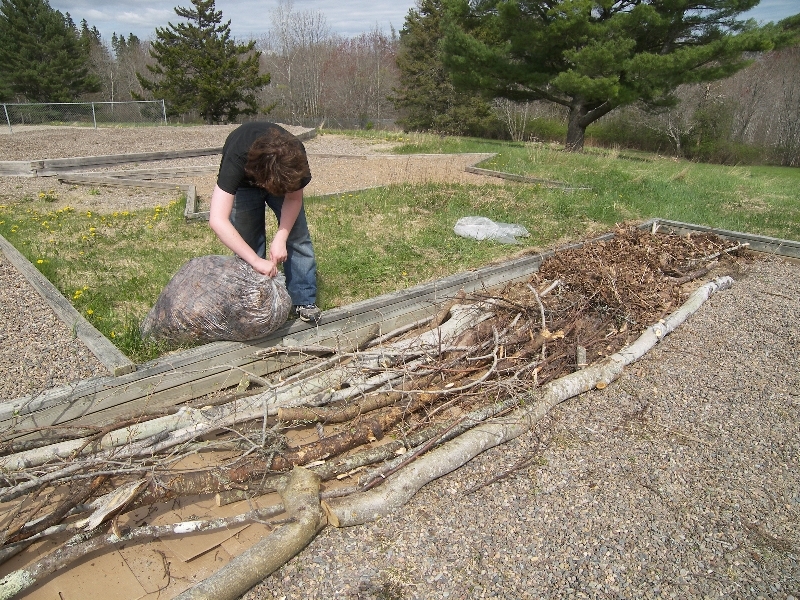 Add bags of leaves, which settle into the cracks between the logs. 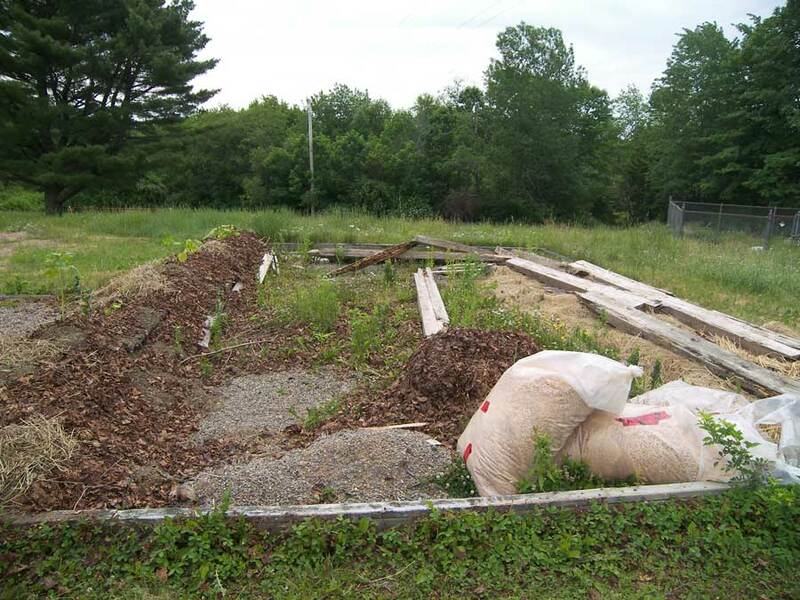 Manure holds down the leaves and helps get decomposition going. Repeat as materials are available – logs, branches, woodchips, manure, leaves, straw, spoiled hay, seaweed etc. 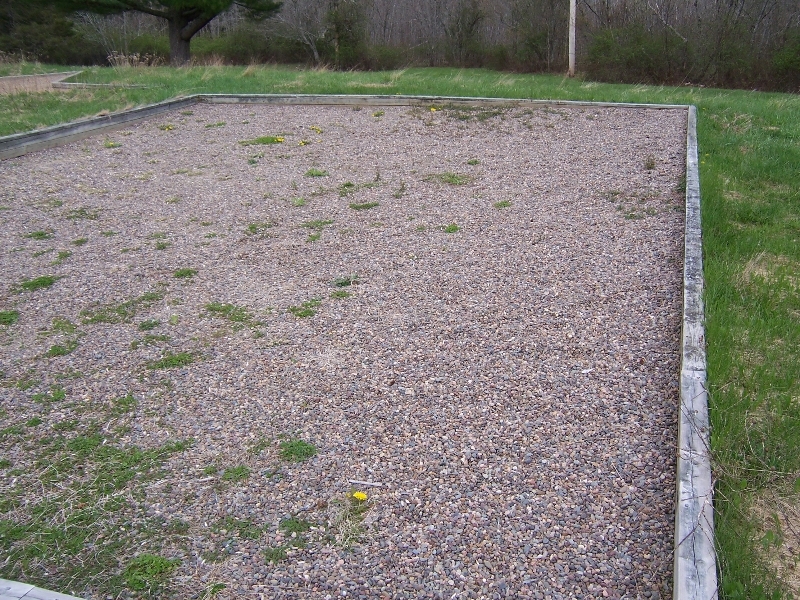 It would be nice to top it off with some soil and/or compost; we’ll see what we have available. Plant green manure, vegetables and herbs. In a year or two it will have broken down into a nice loose growing medium. We’ll make a central bed too. 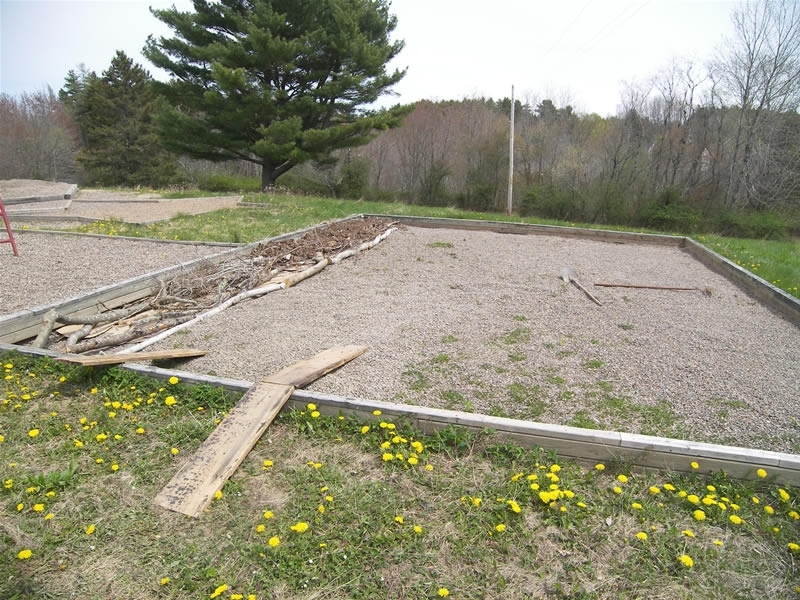 I hope to visit and view, as this design appears to be built too shallow when ontop of gravel to work properly in retaining water based on my experience building a Hugelkultur bed. 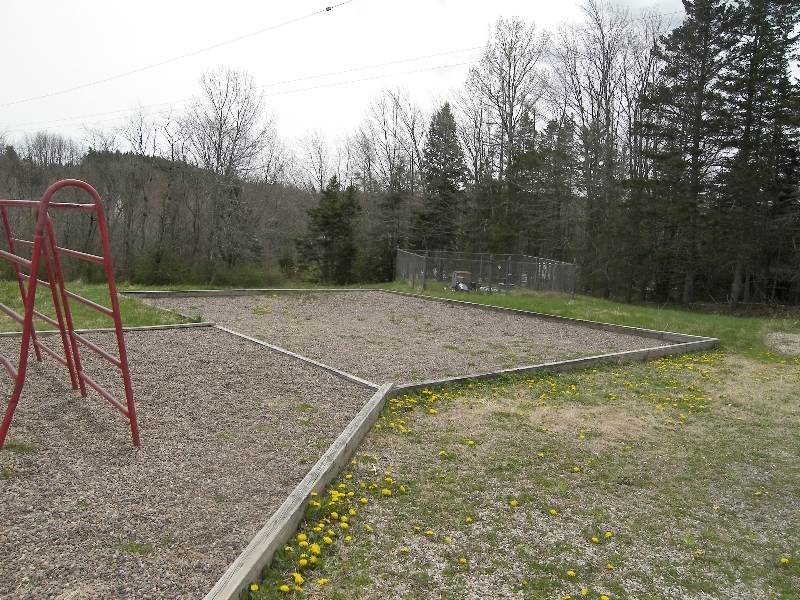 This project was begun in the spring of 2012 but got temporarily abandoned as we focused our attention elsewhere on the property. It will eventually get much higher. Feel free to share your experience with Hugelkultur – what you’ve grown on it, fertility and water retention etc. Let us know when you’re coming – hope to see you. 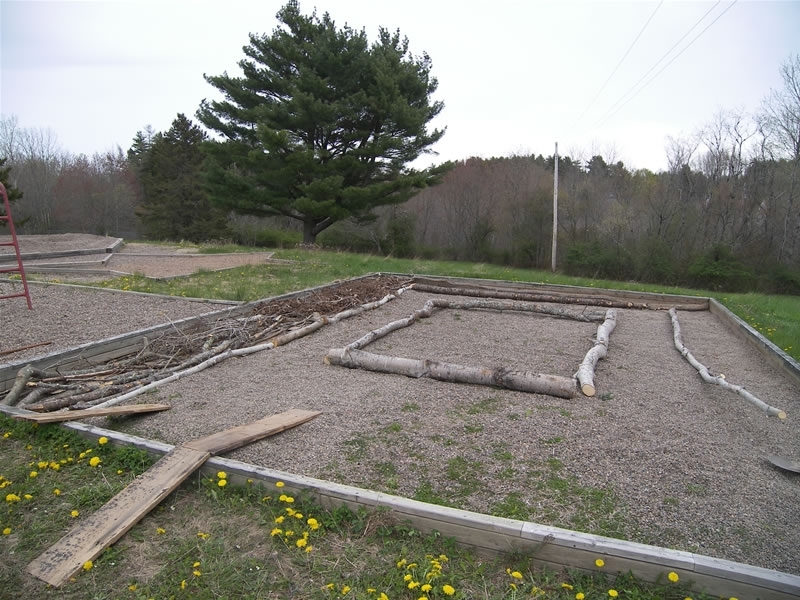 I have built 20+ hugel beds over the last year of different hieghts, depths and lengths with varing degrees of success here in upper stewiacke. I’m excited to see what else you are up too, and will try to stop in sometime in june and chat/share ideas as I find it hard to express my thoughts in text. 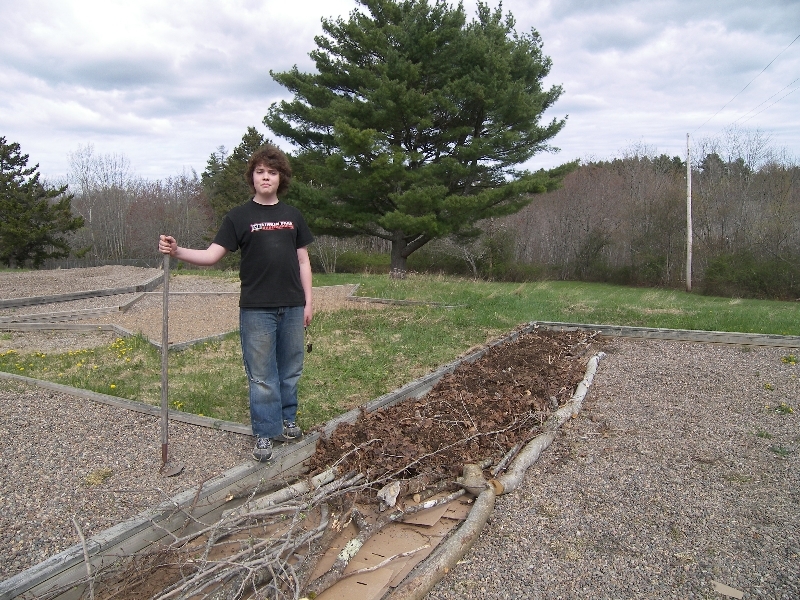 Nice to hear your getting the word out on permaculture to Nova Scotians, take care.